The 4/20 cannabis holiday celebration takes place every year in the month of April and on the 20th day of that month. This celebration has been accepted as the norm for marijuana enthusiasts and users. It symbolizes the cry of supporters and activists for cannabis reform. In fact, the initiation of this celebration came about during the era of marijuana prohibition. The activists and advocates came together in an attempt to make their voices heard. And so the celebration embraces the milestone and progress that has been reached thus far. Today, cannabis reform is making a headway, not only in a defined area of the country, but across the nation. In addition to April 20th, there are other days that you can celebrate throughout the year. In fact, there are five additional days that people engage and show their appreciation for the progress of the cannabis industry. Let’s look at these days and what they represent. The CBD Day cannabis holiday takes place on February 1st. In fact, it is a celebration of the cannabinoid that we know as CBD or cannabidiol. As marijuana legalization becomes more popular, people are recognizing that CBD is an effective part of medical marijuana products. In fact, it is becoming a promise in the advancement of marijuana as medicine. Cannabis strains high in CBD include Harlequin and ACDC. So on February 1st, if you want to get high, but not too high, check out any of these marijuana strains and afterwards, you can spend your day relaxing and resting. Jack Herer is a cannabis strain that gives the user high energy. It is a celebrated strain that got its name from Jack Herer who was a marijuana activist. Jack’s birthday is June 18th and is the day that the Jack Herer cannabis strain is celebrated. Jack Herer was known for his devotion in advocating marijuana. He was also an author, affectionately known as the “Hemperor.” Jack really had a fight on his hands for years, making sure he emphasized the fact that cannabis is a priceless resources. He also advocated for the reinforcement of ways that society can benefit from the marijuana plant and from hemp. June 18th is a cannabis holiday to honor the man that helped to push marijuana plant to the forefront. To celebrate the holiday, get some Jack Herer strain, make a joint and smoke it. July 10th is the cannabis holiday that honors cannabis oil, concentrates and dabs. This is an excellent day to dab the ideal concentrates with your friends. You also get a chance to commemorate the advancement of hash, encouraged by contemporary marijuana laws. October 5th is a cannabis holiday that commemorates victims of the prohibitive marijuana laws. If we go back three days before on October 2nd in 1937, the U.S. passed the Marijuana Tax Stamp Act, outlawing marijuana. October 5th was the day that Denver law enforcement and the FBI conducted a raid on the Lexington Hotel, arresting Moses Baca and Samuel R. Caldwell. These men were identified as the first U.S. citizens convicted of the sales and possession of marijuana. They served their sentences in its entirety with Caldwell passing away shortly after he was released from prison four years later. People feel that they paid a huge price for our personal and legal right to grow and consume marijuana. November 6th is also a cannabis holiday known as Legalization Day. This began in 2012 when Washington and Colorado ratified recreational cannabis legislation, distinguishing it as a regulated industry. If you want to celebrate this cannabis holiday, go to your nearby marijuana dispensary to purchase products as a way to support the business and enjoy some good cannabis products. 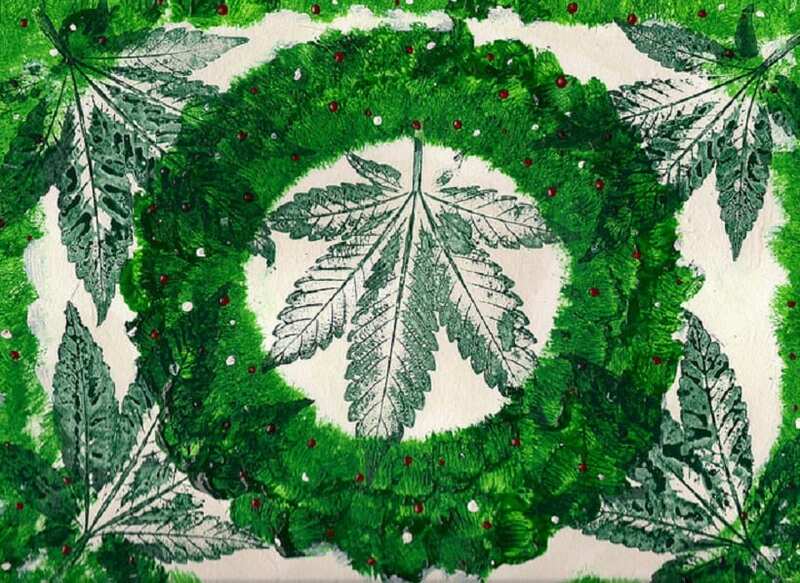 Want to know more about different cannabis holiday celebrations, go to the Cannabis Training University.